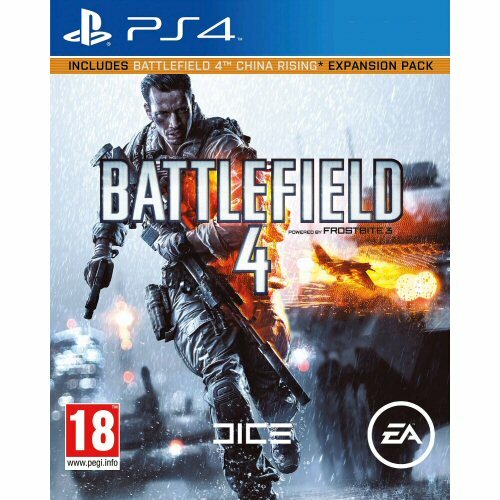 Buy Battlefield 4 for PS4 in India at the best price. Screenshots, videos, reviews available. Experience Levolution, changing the landscape in real-time with interactive environments that react to your every move. Witness the awe-inspiring power of the next generation Frostbite 3 engine, whose unrivaled audio and visual fidelity make your game more dramatic, more believable, and more human. Immerse yourself in an unmatched level of all-out war that grants you the freedom to play to your strengths and carve your own path to victory. Dominate land, air and sea with all-new, intense water-based vehicle combat.